Although oxygen saturation is not considered one of the four main vital signs, it is still very important in its own right and should be monitored in many situations. At the hospital where I am currently employed, I have to check my patients' oxygen level every four hours along with all of the other vitals. Some patients are even monitored continuously with a pulse oximeter. In hospitals, they are often used in conjunction with a heart monitor but they can also be purchased for use in the home. For most patients, their oxygen level should be above 90% at all times. Anything lower needs your attention immediately. Exceptions include those who have respiratory issues such as COPD. Their baseline is often lower. I've had plenty of patients who were functioning normally with their oxygen in the mid to high 80s. You can actually give them too much oxygen which will decrease their respiratory drive. The best thing to do first is grab a nasal cannula if one is readily available. It is a long tube that on one end connects to an oxygen tank, or in many hospital settings, a flowmeter connected to the wall. The other end connects to the patient's nostrils giving them oxygen. There will be two little prongs right next to each other. One of them fits in each nostril. The best way to keep the nasal cannula in place is to wrap the tubing behind each ear and tighten it under their chin until it is snug. 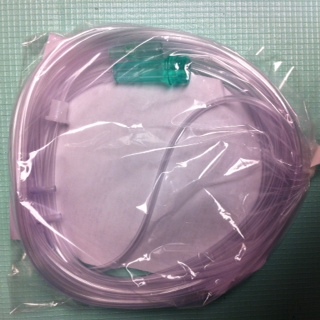 It will seem difficult at first but with practice, you will be able to put in a nasal cannula in no time. 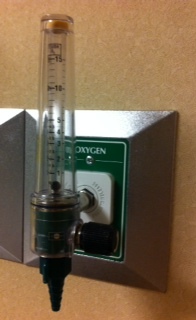 The amount of oxygen going through the tubing and into the patient's nostrils is measured in liters per minute or LPM. The standard starting point for most patients is two liters. If a patient's oxygen saturation percentage is in the 80s, starting with this amount is usually just fine. If the percentage doesn't start to increase within a few minutes, the LPM should be raised, but no higher than 6 liters. Any higher with nasal cannulas will not do any good because 6 L is the highest amount that they are capable of outputting. They can dry out the nose and throat if used for long periods of time. To help prevent this issue, there is a device that is often used called a humidifier. It is basically a bottle of distilled water that attaches to the flowmeter that keeps the oxygen humidified to prevent dryness. Make sure it stays in their nose. I've lost count how many times a patient appears to have their oxygen on, but with a closer look, I see that it's next to their nose or on on top of it. Keep looking closely especially if they keep it on for long periods of time. After the oxygen is in place, ask the patient to breathe in deeply through their nose, and breathe out slowly through their mouth. A good metaphor I've heard a lot of caregivers use to help the patient understand is "Smell the flowers, now blow out the candles." It helps even more if you do it with them. It still amazes me how quickly the saturation will increase with most patients when you tell them to do that. To further aide in getting a patient's oxygen level up, make sure their upper body is elevated. Sitting up in a chair, propping multiple pillows under their back and head, or raising the head of their bed up (if they have that kind of bed) might do the trick. Encourage use of an incentive spirometer if one is available. A breathing treatment may be necessary if they can have one. Last but certainly not least, make sure they are relaxed. That includes you staying calm as well. If they see you staying calm, it helps them to stay calm as well. If a patient starts to get stressed, they will usually breathe faster which brings their oxygen saturation down even further. Remind them to relax and take slow deep breaths. If the patient's oxygen level still won't increase above 90, a call to their physician or a trip to the emergency room may be a good idea. Low oxygen saturation is definitely not something to take lightly. 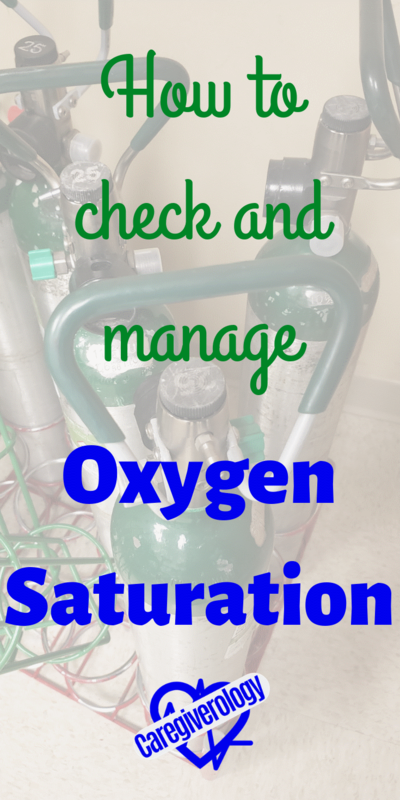 Hospitals have many other ways and devices to get a patient's oxygen back up. A bi-pap, c-pap, or even intubation may be necessary. The sooner the better.